Skip the line and tour parts of the catacombs closed to the general public! Tour the Paris Catacombs, the haunting burial ground of more than 6 million Parians. Touring the Paris Catacombs, the haunting resting place of more than 6 million French citizens is a truly unique experience. Our tour group sinks deep into the tunnels of Paris and covers over a kilometer of catacombs littered with human remains. You'll explore the disturbing and extraordinary history of the burial grounds while learning the chilling stories and legends of these galleries of skeletons. The Paris Catacombs were built as limestone quarries, which were mined for the building of some of Paris' most famous buildings and bridges. After the mid 1700s, the quarries were used to deal with Paris' overcrowded cemeteries, and millions of bodies were transferred from the cemeteries to the catacombs. In order to maximize the storage capacity of the quarries, the exhumed bodies were simply stacked on top of one another in different rooms in the Catacombs creating many miles of human-bone walls. Your expert Catacombs guide will lead your small group on a true journey through the tombs. You can be assured your guide is true cataphile - a local Catacombs expert that is absolutey passionte about sharing the riveting tales about the Catacombs with our guests. Touring the Catacombs with us is easy and simple. Just head to our booking calendar and select your tour date. Once you've completed your Catacombs reservation, you'll receive your booking confirmation automatically. As your Catacombs tour date approaches, you'll receive your tour meeting point information (complete with map and photo) and your tour guide's personal contact info so you can reach out should anything come up. Starting Point: Flexible. Typically we begin at our guests' hotel. Tour pricing is for up to 5 people! Never more than 5 people on your tour! How much are the entry fees? Entry fees are €30 per person. Should I purchase my entry ticket in advance? There is no need to purchase your Catacombs entry ticket ahead of time as you may do that with your guide on the morning of your tour. What will I see on my Catacombs Tour? 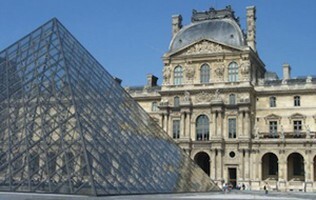 You will explore the burial ground of more than 6 millions Parisians. How will I find my guide? If you've elected to take a Private Tour of the Catacombs, your guide will meet you at your predetermined meeting point â€“ usually your hotel or apartment, or our regular Catacombs Tour meeting point. Your Group Catacombs Tour guide will meet you at our easy-to-find meeting spot near the Denfert-Rochereau metro station at 9:30 AM. Your exact meeting point details - complete with a photo and map of your meeting point - are emailed to you once your booking is complete. Will my guide speak English? Leo was a great guide. She knew the ins and outs of the tombs and kept us all 100% engaged throughout the tour. She made the time fly by. And she was super organized, even when our family was running a bit late that morning. Had a great tour with Victoria. She was punctual, smart, and clearly knew a lot about not just the Catacombs, but also Paris. The Catacombs were a bit disorganized (lots of different lines to get inside, rude staff, etc) but our tour ran perfectly. Had a fun tour with my family. My boys enjoyed it. I booked this tour because I thought my boys would enjoy it. They certainly did, but so did I. They are at an age where gory/scary things really get their attention, and the Catacombs managed to do that. Our guide (Leo) was so passionate about the tour that it made it even more enjoyable for them. Thanks Leo! Potentially negative situation made good by our guide. The Catacombs were completely overrun the day we toured. Something about their ticket system being offline meant the queues were not moving at all. Luckily, our guide already had tickets, and we were able to go inside via a separate line that was not part of the general queue (was already completely around the building when we arrived at 10:00 AM). Without our guide and tickets, I honestly don’t think we would have gotten in at all that day. Private tour with fantastic guide. We asked for a guide that could speak Spanish or English, and we got one that spoke both! This was great, because my husband d and I brought my parents who only speak Spanish. Laura was able to communicate the tour to us in both languages, and spent time with my parents making sure they were enjoying themselves. They are older, so we were worried about the stairs (there is no lift! ), but it was fine, and they were able to manage them. Great guide. Very unique tour. Had a great tour with Aeon. We booked a private one, and our guide met us at our Airbnb, and she brought us to the tombs herself. We skipped the line (was quite long even by 10:00 AM!). Our guide was quite clearly a bit obsessed with the catacombs..she even had photos to show us, knew the workers there, and mentioned she even explores them on her own sometimes. Maybe I didn’t love them as much as her, but she made a great guide. Ha! It’s worth booking a tour just to skip the line, honestly. Beating the line was a bigger deal than I thought. Got to see parts not available to the larger public. Worth it. The catacombs had been on my to do list for some time. Glad I got to do the tour in a small group and with a guide who was well informed about the history and the catacombs themselves. My sister and I went on a tour of Catacombs with Tomas. He met us right in the center of Paris at our hotel, and amazingly, we were the only two people on the tour that day. The Catacombs tour itself was fabulous. My sister and I are quite well traveled but usually stay away from tours. We are so glad we did, and even better, that we had Tomas as our guide. The tour itself took longer than advertised, almost 3 hours. But we didn't mind at all, and actually loved the extended time we had exploring tombs. Very cool, if you are in Paris you really check this out. "Very cool, if you are in Paris you really check this out." Our guide was great, she spoke excellent English so we had no problems understanding. The catacombs are very cool, definitely a unique experience and it was great learning all about the history behind them. This was by far our favorite tour in Paris. Good tour. Victoria provided lots of info. Certainly worth doing and having the guide. Only suggestion would be to meet somewhere a little quieter than beside the busy road where the majority of information is provided. It was very difficult for the group to hear what the guides were saying. Fantastic tour, very interesting story. Easy to book. Very organized and informative tour guide. Overall great experience. This tour was just right. We lined up with our guide early and got in first, she gave us fun facts as well as detailed history, and she answered every question we had as we explored underground. The guide was so passionate about the history and artistic value of the catacombs, which made the tour that much more authentic. Keep in mind that you have to pay the entrance to the catacombs in addition to the tour price. They take cash. Would definitely suggest you take Aeon's tour of the Catacombs! The tour of the catacombs was really interesting, filled with grotesque details about the catacombs' origins, as well as fascinating engineering aspects. Our guide, Victoria, was clearly a fan of the catacombs, and her enthusiasm inflected the whole tour. I highly recommend it! Brilliant tour, really interesting. It's a must if you're going to Paris!! We had an amazing tour guide in Victoria who was so informative and answered all questions in great detail. We were very lucky to get to go into some restricted areas and really take in the environment. The full history and stories of the catacombs was given to us and I am so glad I went on this tour. The price to start with bothered me was worth every cent. Our guide Rapheal was excellent and provides a lot of interesting history. It was s favourite activity for my 9 year old. Our experience with this tour was excellent. The skip-the-line portion saved us three hours of waiting (at least), and our guide, a student named Victoire (Victoria in English), was clearly informed and passionate about the Catacombs. She taught us many things that we might not have learned otherwise. And, thanks to our status as a 'group' tour, we were enabled access to other parts of the Catacombs not typically available to the general public. All-in-all, it was a truly excellent experience. Knowledgeable guide and fantastic, Catacombs experience! We had Amanda as our guide, it was just 4 of us so we had plenty of time to go slow and take in the experience. She was very knowledgeable with maps and pictures to show us while we lined up. Would do it again! The guides were really nice and forthcoming. They all had a lot of interesting information, and in total it was a good experience. Our guide Raphael was very knowledgeable and fantastic. She brought the history to life and made it a thoroughly enjoyable morning. Our guide was very good at engaging everyone on the tour. He had a great knowledge of the history he was presenting. He did it in an interesting, entertaining and humorous. Highly recommend the tour! We (family of 5) really enjoyed our tour with Leo. She was interesting and gave lots of interesting information about the catacombs. It's better to pay that extra bit to get a tour guide, otherwise you just walk around the catacombs with an audio guide machine that you place next to your ear...if we didn't have a guide, we would of missed heaps of interesting things in the tour! Amazing experience with amazing guide! Our guide so knowledgeable! He did an outstanding job. Thank you for a wonderful time! Fascinating history that you wouldn't get by reading the panels" Being able to be one of the first few to enter the catacombs and know the history was really amazing and I believe we wouldn't get that otherwise if we were on our own. We had an outstanding experience with our tour guide Raphaelle! She was extremely knowledge and passionate about the history of the Catacombs. We left this tour feeling extremely satisfied and happy! Enjoyed the tour of the catacombs, very cool and the guide knew a lot about them. 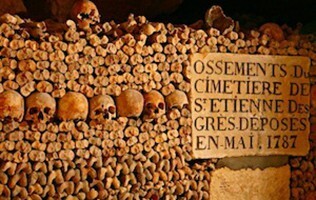 A really cool tour of the Parisian Catacombs! This tour was really informative and professional. 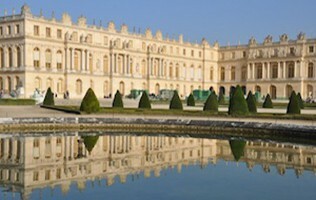 My guide was knowledgeable and gracious, we had a super visit to this fascinating part of Paris and its past. Would love to visit again! We were unsure at first, but committed anyhow. We were delighted we did. It was NOT morbid in any way. It was a wonderful unknown to outsiders history lesson on Paris. The tour guide we had was so very respectful of what happened to the people in the catacombs, why they were there and how the process began and ended. Very very interesting. Our guide Leo was fantastic, very knowledgeable and was able to keep the kids intrigued with tales of legends in the catacombs. Definitely worth a visit and the guide really added to the experience. I think this was the best way to do the Catacombs - ensuring you have plenty of time, but no risk of getting lost! The guide faces us great information that we wouldn't have otherwise gotten. Leo was a great guide, had a great time. An amazing informative experience. Loved it. Great stories and a very nice guide. We loved this tour because all of the history we heard, and how the catacombs came about. We also loved that it was a very small group, we were able to hear very well and ask lots of questions. Highly recommend!! A little pricey. Very informative. Our guide so knowlegeable! He did an outstanding job. Thank you for a wonderful time! Eleonore was a super guide and the tour was very interesting. However, I found 39€ witouth the entrance very expensive! Being able to be one of the first few to enter the catacombs and know the history was really amazing and I believe we wouldn't get that otherwise if we were on our own.